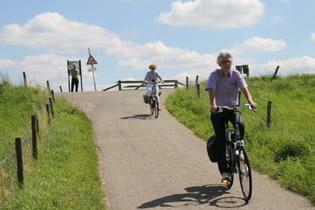 Cycling is the best way to discover the diversity of this part of the Netherlands. 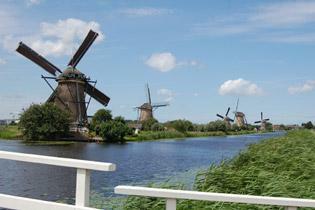 From colourful bulb flower fields to picturesque historical towns; and from windmills to cheese markets; it’s all there. On the way, river landscapes, nature reserves and lush meadows with grazing cattle will delight and relax you. Free as a bird, you will be able to stop wherever you want, to visit tourist attractions and museums if you so wish. You will find much to still remind you of our rich past in trade and fishing. The terrain on this cycle tour is flat all the way. As on all our carefree bike tours, we provide luggage transfer and excellent accommodation.